Do you have a first time driver in your family who is in need of a vehicle? Going with a used vehicle is always going to be a smart option for a first time driver. Not only is the price tag going to be low, but you are also going to get a quality vehicle that is still under a warranty when you shop with Carson Cars. If it is used Chevrolet cars for sale in Snohomish County that you are after, you will always have a great experience and plenty to choose from at Carson Cars. Buying with some of the bigger dealerships offering brand new Chevrolet cars will usually leave you with a bad impression. There is all of the pressure and a need for the sales team to push vehicles no matter what. When you shop used with Carson Cars, you never have that kind of pressure and you are always going to be greeted with a smile by our award winning customer service team. Whether you are looking for a first vehicle or an addition to what you already have, we have a wonderful selection of Chevrolet cars to give you everything that you need. All you have to do is stop by to browse the selection, take a model or two for a test drive and once you find what you need you can sit down with our friendly in-house finance team. We will be happy to take care of all of the paperwork for you and get you the financing that you are looking for. 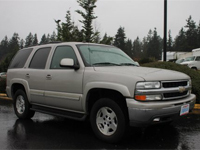 Buy your next vehicle with Carson Cars and shop used Chevrolet cars for sale in Snohomish County. Call us (855)583-9356 today for selection and pricing information.